I may not be the perfect person to write about Marcela’s Yoga Boutique since I have never done yoga and really don’t know that much about it, but the Boutique opened up next door to our office and I went over to introduce myself. 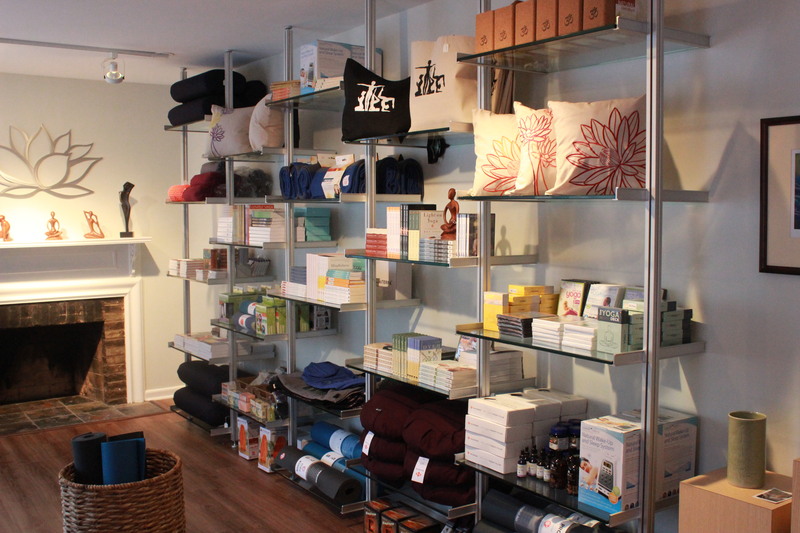 As I learned from that conversation, this is not a yoga studio, but rather a place to purchase yoga mats, outfits, and other quality items to enhance your yoga experience; but the Boutique is much more than that. Marcela offers a wonderful collection of gifts that nourish the mind, body and soul in a delightfully serene and inviting environment. As I sat down with Marcela for this article I soon learned that this mother of three is definitely committed to helping people and is very excited to turn her favorite activity into a thriving business. Her goal is to offer a wide variety of products that help people live happy, healthy and well-balanced lives. Every item is hand-selected to provide the best quality to their customers. They wholeheartedly believe in the products that they sell. “We are thrilled to have partnered with fair-trade organizations to support responsible trade and ethical treatment of artisans from all over the world,” she tells me. At this holiday time of year, the opening of the Boutique offers a wide selection of mind and body products that will make great gifts…for someone else or yourself. 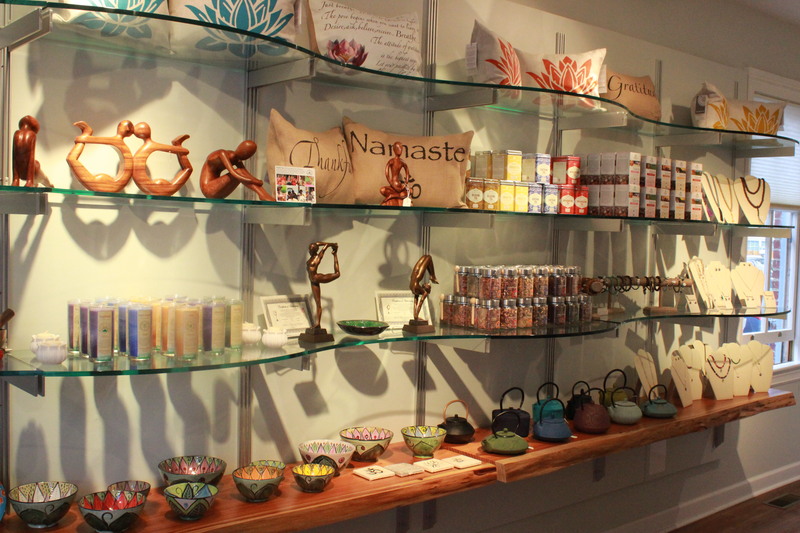 Some of the items in addition to yoga accessories include, yoga-inspired art, essential oils, handmade jewelry, specialty teas, candles, handcrafted ceramics, yoga and meditation books, home décor, fine textiles, aromatherapy, and mindful gifts. Marcela attended her first yoga class many years ago, but due to her job in the corporate world and her busy schedule, she was unable to attend classes nearly as often as she would have liked. About four years ago she and her husband, Dave, relocated from Montgomery County to Old Town Alexandria. Dave is a successful orthodontist in Springfield, and with his constant support; Marcela decided she was ready for a more meaningful and purposeful life. She began her search for a suitable retail outlet and settled on the 300 block of South Washington Street. Her goal with the Boutique is not to hold classes and compete with the other yoga studios in Old Town, but rather let her store be a compliment to the studios, but it goes deeper than that. 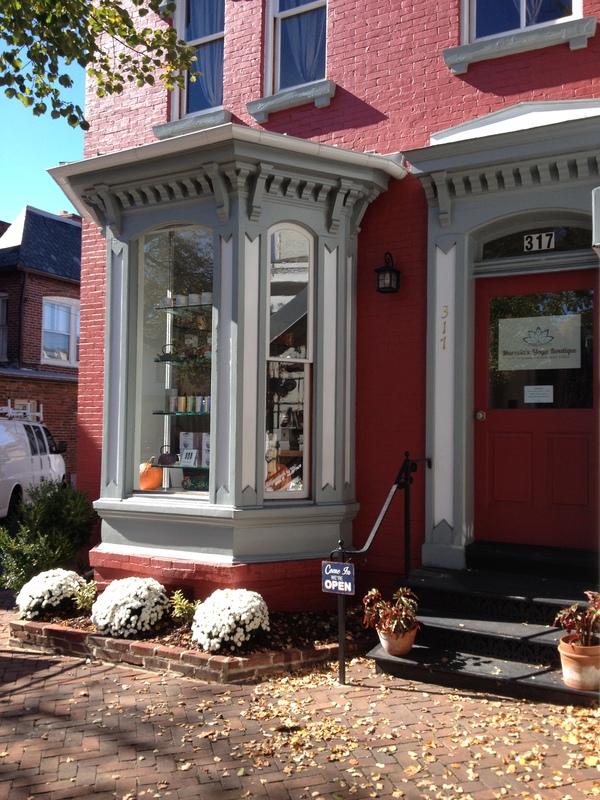 The Boutique has quickly become an oasis on busy South Washington Street. As soon as you walk in the door you will hear the haunting sounds of soft music that will immediately create calm. There is also incense burning to heighten that calming effect. The Boutique will be holding yoga workshops each month. On November 15th is a Yin Yoga Workshop. On December 3rd, a Restorative Yoga & Yoga Nidra workshop with take place. These workshops require a small fee. Marcela will also host an Inspirational Book Club occasionally for which there is no fee. 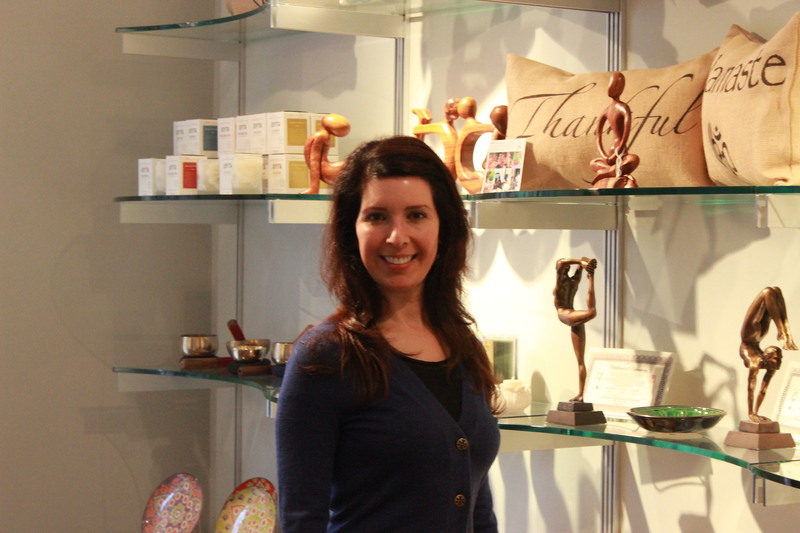 We certainly welcome Marcela’s Yoga Boutique to the ever-increasing number of quality shops in a quality town. After the first of the year, Marcela may investigate the possibility of providing individual instruction, but for now she is only concerned in providing products that soothe the mind, body and soul of her customers. 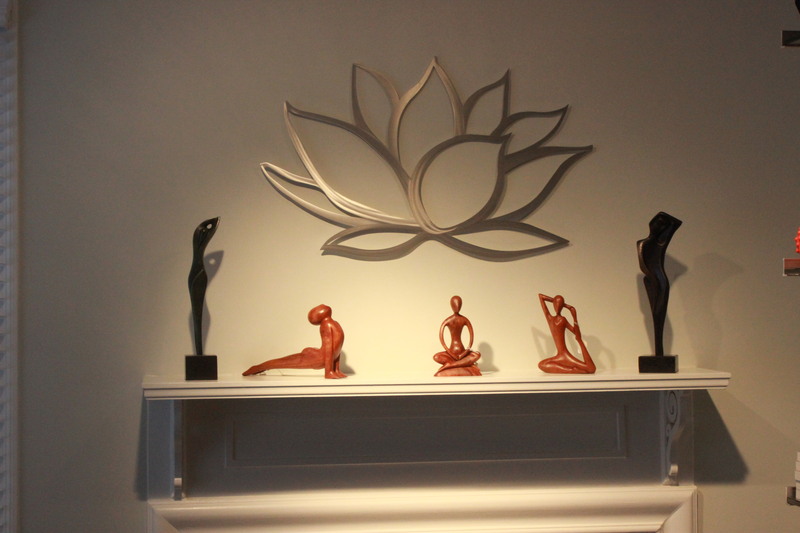 Stop by and introduce yourself…enjoy the experience and get your zen on. It reads Marcel’s Yoga Boutique. It should read Marcela’s Yoga Boutique. You may want to correct it since we are circulating the article to membership of Women’s Yoga Circle. Will have our blog guru make the correction.